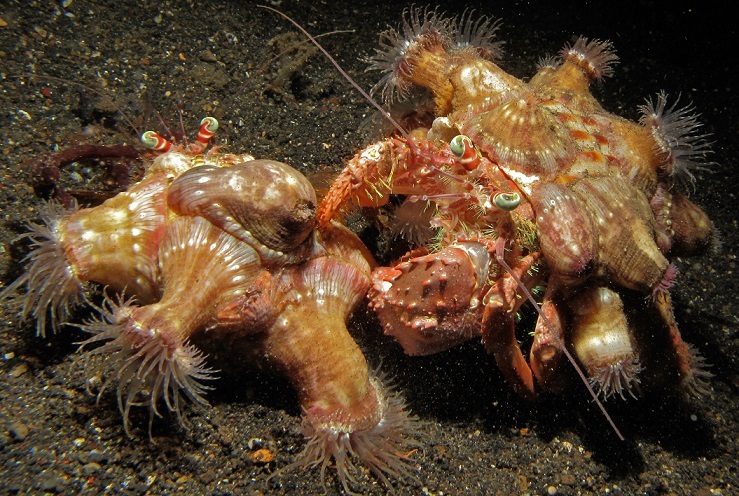 The Anemone Hermit Crab, Dardanus pedunculatus, will often carry multiple small anemones on the back of its shell. 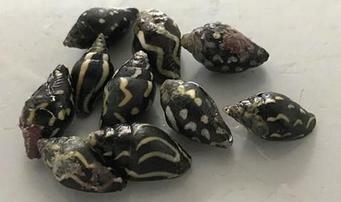 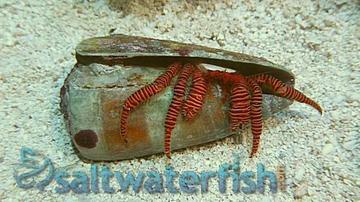 They will be found in sandy reefs among intricate live rock structures. 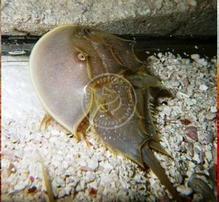 As voracious algae-eaters, they can be beneficial tank members. 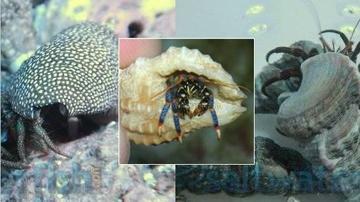 Needing almost no care, the Anemone Hermit Crab is an excellent reef-cleaning addition to almost any home aquarium.